Do you own the SSTX14AHQ-FP? Please, tell us what you think about it. It helps us provide you with better products. Please note that it may take up to 72 hours for your review to appear. Pros: Wow this shaved about 7lbs off the weight of a Normal Wet Cell battery. When I first got the battery I thought no way can something this light do the job, was I wrong. It spins the old Commando over with no problems, and if you know old Norton Commando's you know that is no easy feat. Cons: So far I can think of none. At first I thought there might be a problem with the connection terminals and the supplied nuts and bolts, but I was wrong. worked really well. 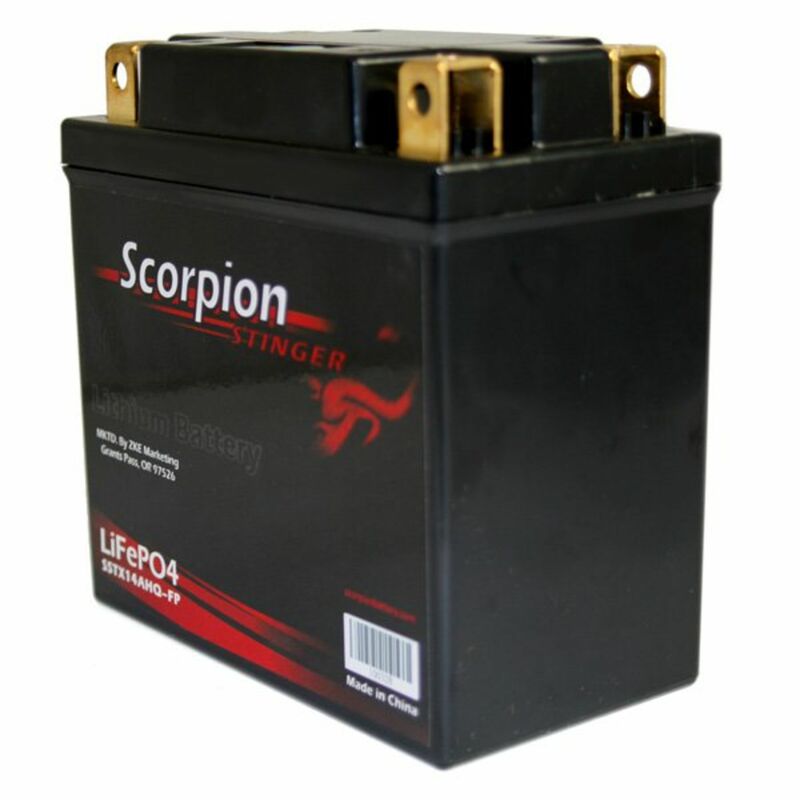 If this Battery holds up, I will be replacing the one in my Ducati GT 1000, and both my Harley's with a Scorpion Stinger LiFePo4. Pros: Powerful, beat out two other batteries failed to even though they were advertised as have the amps, would lose little juice over time. Cons: Just a bit too large to hide in the Bum Bump on my Café Racer. It's so good I made another way to mount. I would like to see the terminal posts threaded rather than the nut that always drops out and takes forever to find. I'm hoping I can find another Scorpion, that is a bit smaller. Pros: GREATTTT. Best battery ever, out of the box started 610 mule like battery was charged for a week.Will buy other sizes as old batteries die. this is so light I thought there was no battery in postal box. Pros: I bought another Scorpion-Stinger Lipo Batter because of my experiences with them in another bike I installed in a few years back! 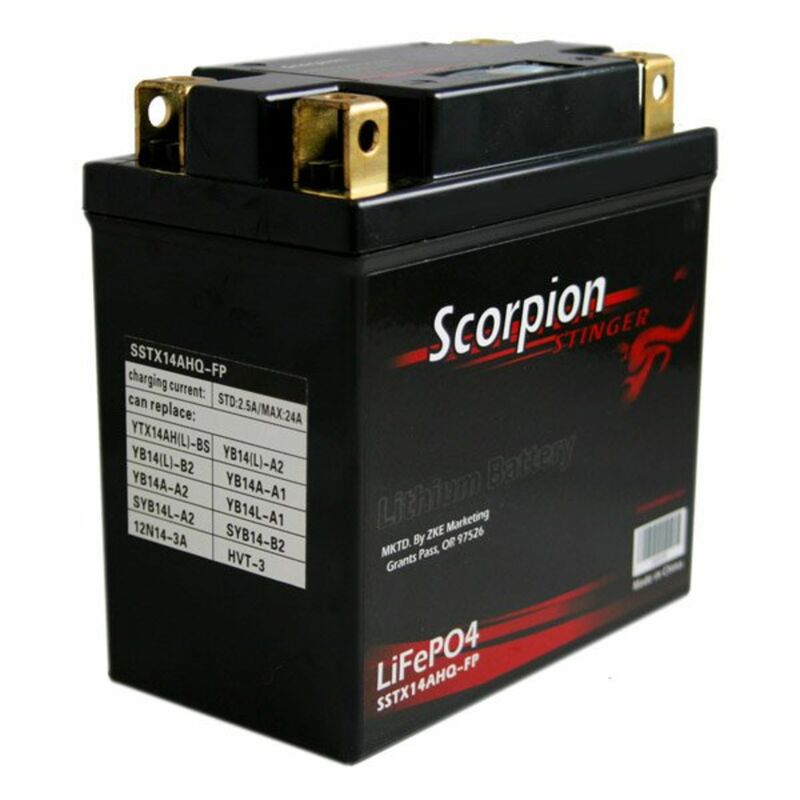 Also,based on the current "pricing" among all OTHER Lipo-battery manufacturers for motorcycles,Scorpion has ALSO managed to keep their prices EXTREMELY competitive,while ALSO BOOSTING their performance for their batteries! Namely their cold-cranking-amps! 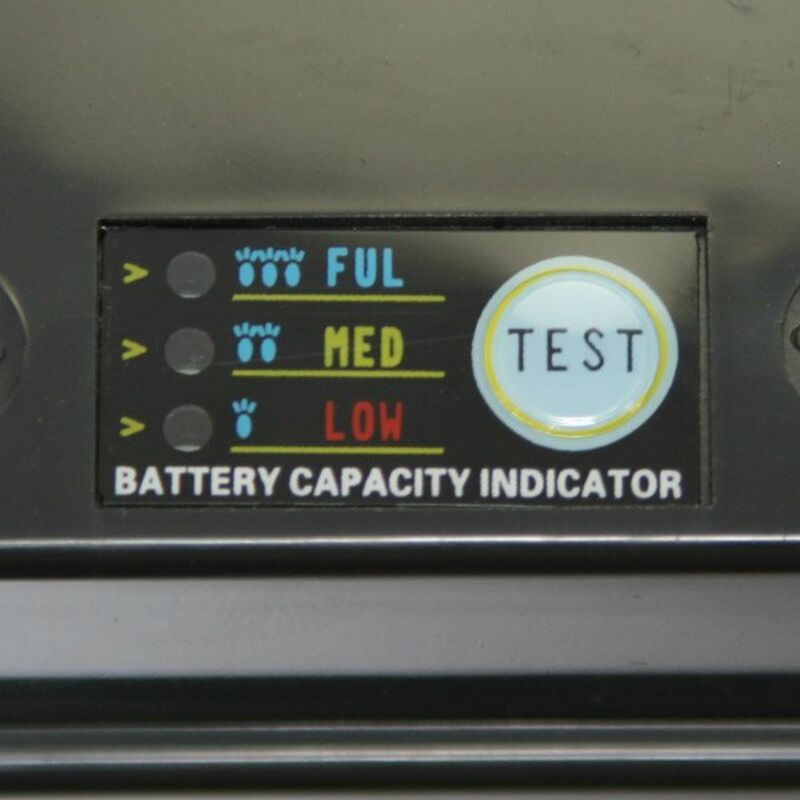 Which is among the HIGHEST of any other lipo-battery I checked into for my particular make/model! 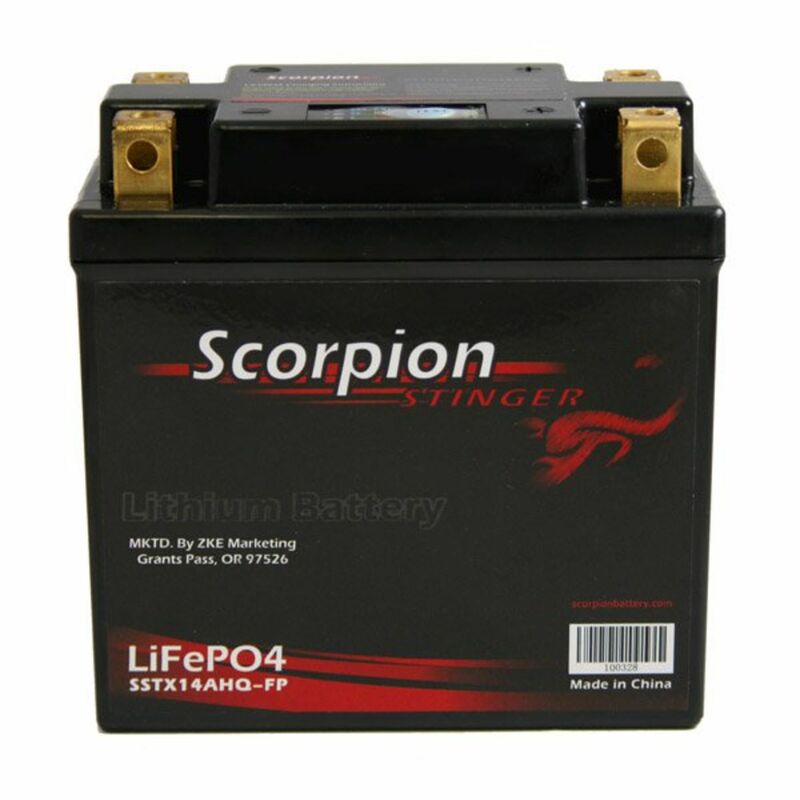 So it's been a great investment,and hence........has ALSO made me CONTINUE to buy the Scorpion-Stinger line of Lipo-batteries because their price,combined with their performance,is unmatched! Cons: So far,I've haven't YET experienced any "negatives" regarding these batteries,other than (if I'm FORCED to make a "con"),is their price,as Scorpion are not at all,the "cheapest" Lipo-batteries,but there are OTHERS that do sell Lipo's a tiny bit cheaper,but considering the performance these Scorpion-Stingers give? I can't really count that as a "con"! Lol. LOVE the quick-check of the overall-"charge" of the battery on the top of the battery! By pressing it,it instantly tells You if your battery is currently "Full","Medium" or "Low" by pressing the button that shines LED-lights that tells where the voltage is on it! Pros: Wow,after buying a new Lipo-battery from these guys,I received my FULLY-CHARGED (already checked it,it came in at 13.24 volts right out of the box!!!) Scorpion Stinger battery from these guys,after just ordering it,two days ahead of time,and within 48hrs.,it was already here on my doorstep!!! Now THAT is fast service to me,living all the way in the northeast!!! 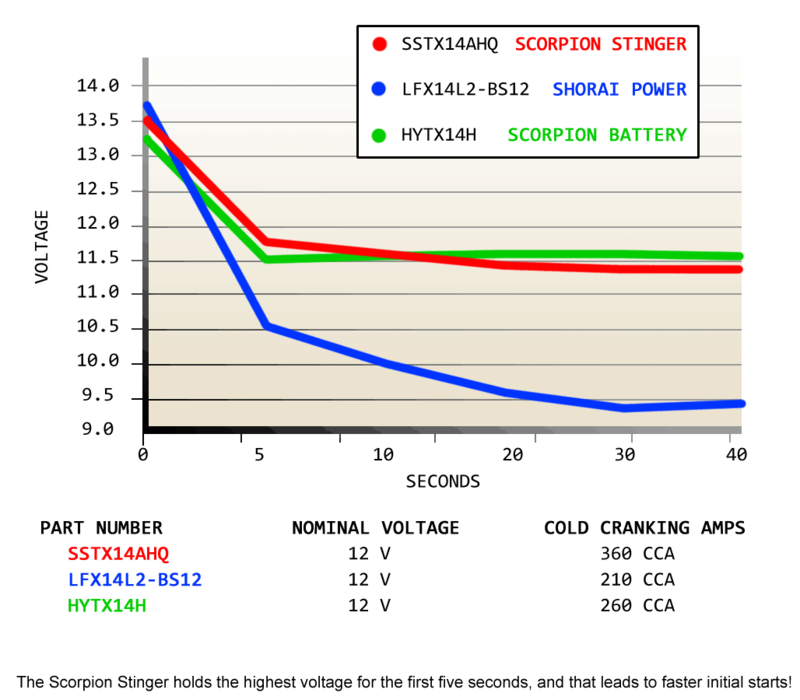 I also bought a Lipo Scorpion-Stinger battery for my other motorcycle about 4 years ago,and THAT is still functioning like it's brand-new,so I place a GREAT DEAL of confidence in these batteries as my first one,has proven itself above and beyond since new,and I'll have to assume the same will be true for this 2nd one I just bought!!! Thanks BatteryStuff!!! The tremendous weight-savings with these Lithium-ion batteries,is incredible!!! You'd almost not have to care at ALL,not to purchase one of these for your own motorcycle!!! 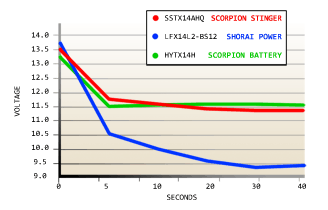 My "stock" battery,weighed in at 9.21 lbs.,my NEW Scorpion-Stinger Lithium-ion battery,weighs in at only 2lbs. EXACTLY!!! So that's OVER a 7lb. weight savings right there!!! Pros: Excellent Battery in all aspects of motorcycles!! Pros: Love this battery, very impressed with cracking ability. Motorcycle now starts 1 second after hitting start button. Very light and small, will recrecommend to everyone. Cons: Getting it to fit snugly into battery box due to smaller size. It is worth the extra cost IMHO!